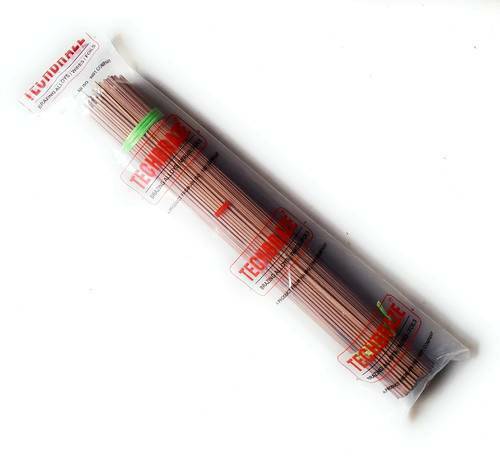 Techbraze Copper Brazing rods find application in the refrigeration and air conditioning industries.They are used for joining copper to copper on vibration-free joints. This copper alloy is very effective for joining tight-fitting copper pipes and tubing. Shree Giriraj Metals Private Limited is experiencing growth at a very brisk pace since its establishment in the year 1981 (15th September), under the proficient headship of the honorable Chairperson Mr. Umesh Agrawal. The profound knowledge and rich experience of the Chairperson have assisted the company to acquire distinguished position amidst the dependable Brazing Products based in India. It offers a wide range of Silver Brazing Alloy Rods, Wires, Foils, Copper Brazing Rods, Brass Brazing Rod, Nickel Bronze Brazing Rods, Tin Solder with Silver, Deoxidised Copper Wire, Phos-Bronze Brazing Rod in our Brand name "Tech Braze®" & Silver Flux, Copper Flux, Brass Flux, Aluminium Flux in our Brand name "Tech Flux™". Authorized Distributors of Superon® Series Welding Rod Super Stainless Steel 308L, 309L, 316L, 310, 410, Super Cast Nife, NiCrMo3, Supertrode A29, Supertrode A24, Ferro Cobalt. Authorized Distributors of Superon® Series Dye Penetrate Set, Anti-Spatter in Aerosol Spray Form. As a leading business name, we are readily engrossed in the realm of presenting to our customers a wide variety of products comprising Brazing Alloys and Flux Powder. Owing to their ruggedness, durability and high strength, these offered products are widely recommended and acknowledged.